Unsure about the meeting time or how to join the call? Please pray for peace and stability in this country which has had 2 civil wars since 2002. For revival, purity and fervent love among Christians. For prosperty and health for agricultural workers. For child slaves to be set free. Côte d'Ivoire is blessed with great natural beauty. It has the largest rainforest in West Africa. It has been the world's largest producer of Cocoa since 1979. But Islam, Christianity and indigenous religions are in a delicate balance. Two civil wars in 10 years has been followed by an uneasy peace. Hazardous child labor and even capture and enslavement of children for ​ work in the cocoa fields is still prevalent in Côte d'Ivoire. Christians are only slightly outnumbered by Muslims, but both Christians and Muslims often mix their faith practices with traditional religious practices. Alassane Ouattara, President of Côte d'Ivoire since 2010. Daniel Kablan Duncan, Prime Minister of Côte d'Ivoire since 2012. 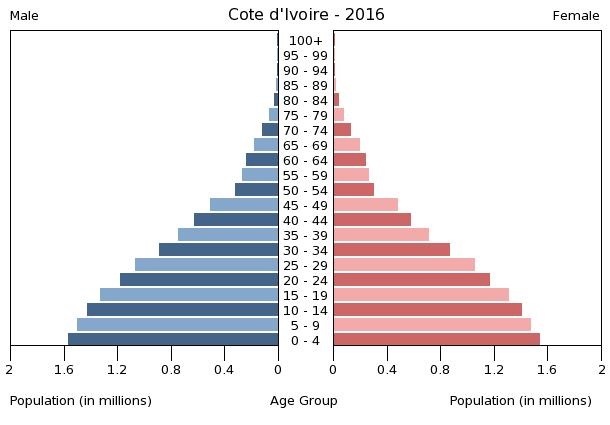 Life expectancy in Côte d'Ivoire is about 52 years, and infant mortality is about 68 per thousand. 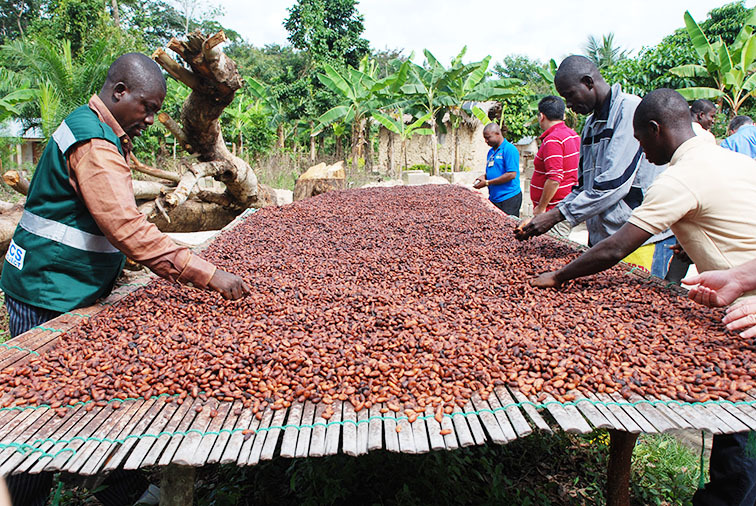 Close ties to France since independence in 1960, the development of cocoa production for export, and foreign investment made Côte d'Ivoire one of the most prosperous of the tropical African states, but did not protect it from political turmoil. The northern government has yet to exert control over the northern regions and tensions remain high between Gbagbo and opposition leaders. Several thousand French and West African troops, and a moderately-sized United Nations contingent, remain in Côte d'Ivoire to maintain peace and facilitate the disarmament, demobilization, and rehabilitation process. Elections were finally held in 2010. The first round of elections were held peacefully, and widely hailed as free and fair. Runoffs were held 28 November 2010, after being delayed one week from the original date of 21 Nov. Laurent Gbagbo, as president, ran against former Prime Minister Alassane Ouattara. On 2 Dec, the Electoral Commission declared that Ouattara had won the election by a margin of 54% to 46%. The majority of the rest of the world's governments supported that declaration, but the Gbagbo-aligned Constitutional Council rejected it and then announced that country's borders had been sealed. An Ivorian military spokesman said, "The air, land and sea border of the country are closed to all movement of people and goods." There has been an armed insurgency ever since, with pro-Ouattara forces on the one side and pro-Gbagbo forces on the other. 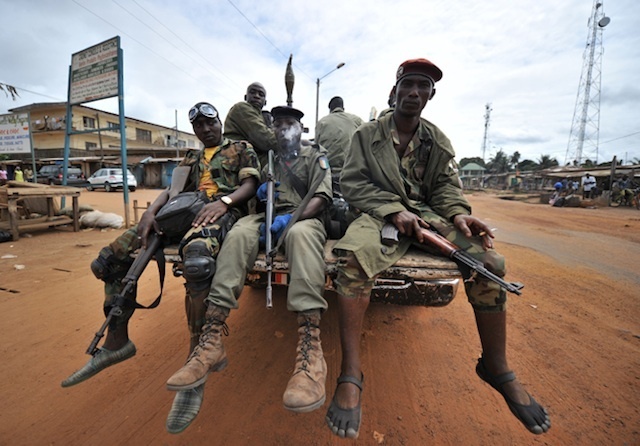 By 1 Apr 2011, pro-Ouattara forces had penetrated Abidjan and street-level combat between the two sides was occurring. Most governments are still advising their citizens against travel to the country. In 2015, Global Media Outreach registered 679,992 gospel visits, 92,825 indicated decisions and 30,522 discipleship visits from Côte d'Ivoire. We have 13 Online Missionaries who live in Côte d'Ivoire. “I accept Jesus Christ as my Lord and Savior. I invite him to reign in my life. I invoke the precious and powerful blood of Jesus about me, about my life and everything I do. I do nothing outside the Lord. There is nothing noble, beautiful, great, glorious outside the LORD.” — Recent Ivoirian contact Camille Ouffouet. Copyright © 2018, Global Media Outreach, All rights reserved.